I am trying "Imgur" but having trouble figuring out how to navigate. More later. Here is another try using "Imgur", trying to get the size right for the forum. Wow! 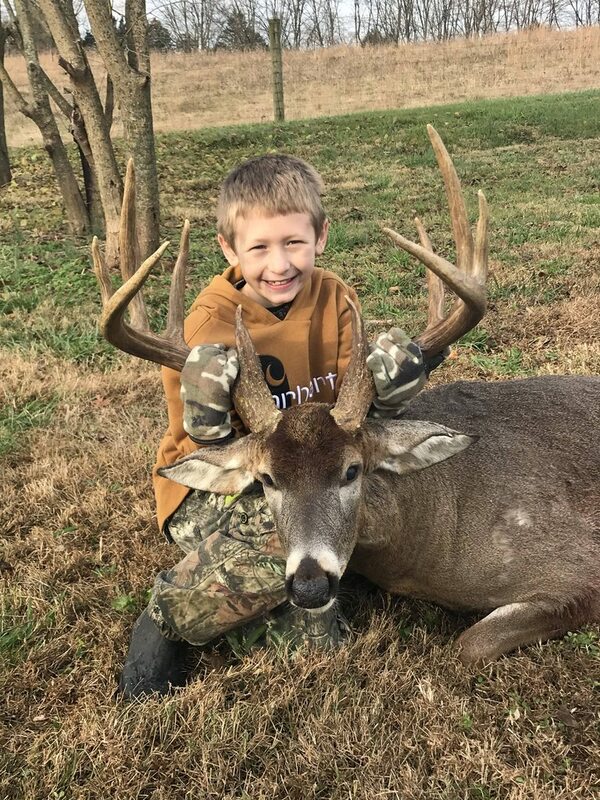 What a deer for that young man....Sweet! The first picture I could see on my computer was so big you couldn't see much. Your grandson's face alone took up the whole screen. This second picture was the right size to see him and his deer at the same time. Great deer. Congrats, he is a happy shooter.